← Monday Morning Chat 1/29/18 – Jade’s Match Release! It’s hard sometimes, to know what to do and when to intervene. Scott is 11-1/2. Most 11-1/2-year-olds can fight their own battles, know how to stand up for themselves, or how to extract their way out of a situation. Scott doesn’t. He shuts down. Emotionally, spiritually, physically shuts down. Most 11-1/2-year-old boys don’t need their little brothers to stand up for them. But, Scott does. His brother, Jeb, is 9 and his defender and protector. He understands, even at 9, that sometimes he needs to be the one to step in and take charge of a situation that Scott is in. He also understands that as they get older, that will remain his responsibility. Because Scott has autism and the social nuances of life are a total mystery to him. It’s not something we’re going to be able to teach him. It’s something he’s going to have to navigate on his own — well, not on his own. With his brother by his side. The other night, we were at a party at a friend’s house. There were about 15 kids present, including our own. They were all playing upstairs in the kids’ area. At some point later in the night, I could hear Jeb’s voice – very distraught – but I couldn’t hear his words. I ran up the stairs and into the room and found Jeb in between two big (I mean, seriously big) preteens and Scott, telling them to leave Scott alone. Only, Jeb is small and these boys were big and they were just reaching around him, picking at Scott (I think poking him with a wooden knife) as if Jeb wasn’t even there. Imagine the concept of “poking the bear”. I could totally see these kids doing this to a caged animal at the zoo with a stick. Scott had his back to them. His hands were fisted and his eyes were closed and he was so tense that he was probably sore the next morning. I immediately ascertained the situation and firmly told the boys to stop. They didn’t stop at first. What kid doesn’t stop when an adult catches them in bad behavior? And, I’ll tell you something — I’m not nice. Or sweet. In this situation, I was downright mean. So, there’s no reason they didn’t stop. Back to the zoo scenario — mama bear suddenly took charge. I stepped between them. I am not a small woman. So, I bowed up and stepped between them and told them to find somewhere else to be. The leader of the kids hesitated – I don’t know what he thought the outcome could possibly be that didn’t end with him in tears, but after I repeated myself, he eventually backed down and left the room. I sent Jeb downstairs to start making sure that we were in a position to leave, to find our neighbor’s son who had come with us, and to get everything together he’d brought with him. That was what pulled him out of the internalized meltdown that had him in a spiral. I took him downstairs and he waited on the stairs to the front door (the house was split level, so the front door was at the bottom of the stairs), sitting on a step in the middle, covering his ears with his hands and just waited, giving me a chance to find Gregg and Jeb and say our goodbyes. I found the mom of the kid and told her what happened, but she was honestly unconcerned. I truly think she didn’t understand the level of wrong her kid had just perpetrated. Because, most 11-1/2-year-old can handle that situation and it won’t have a detrimental affect on the rest of their day or night or week or life. Unfortunately, that isn’t our situation. She didn’t even react when I told her how he didn’t listen to me at first. But, maybe the issue is that she was about 6 inches shorter than the oldest son and he’s obviously a bully. Anyway, at least I told her. Jeb and I went outside to make sure his glasses were in our van and not lost inside somewhere , and on our way back inside, I caught the biggest of the two kids sneaking down the stairs, holding the wooden knife thing , about to poke Scott from behind. “Fine,” he said, but didn’t move. What did he think I’d do? Trust him to comply and continue about my business? He turned around and I didn’t see him the rest of the night. How was this something a kid would even think to do? It’s agonizing to think that Jeb is sad because he couldn’t stop them. It’s infuriating to think what might have happened if Jeb hadn’t been there. And it’s scary to think about the next time something like that happens, and the next time, and the next time. Helicopter-parenting isn’t going to make it easier for Scott. He has to learn how to navigate that, he has to learn coping skills. Jeb has to know he can step up and get between Scott and two big kids and not be afraid of them – even when he’s not sure if we’re going to be there to help them. But that doesn’t make it easier to experience. It doesn’t take the hurt away or the clenching of my heart when I think back to the image of Scott so tense and shut down, and Jeb so brave and ineffective. 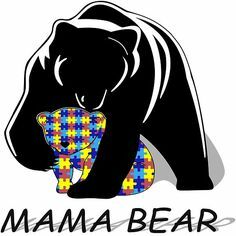 This entry was posted in Autism, Blog and tagged autism, bullies, parenting. Bookmark the permalink. I think what bothers me the most about your story is that the boy’s mother seemed unconcerned. What is going to become of that kid, when his own parent doesn’t deal with such obvious bullying? I hope both your sons were able to be comforted and move past this awful incident. Blessings to you all. I know. It was really odd how unconcerned. I just think she didn’t understand the magnitude. You showed more constraint than I probably would have. Bless you, Hallee. This made me cry. We have a society filled with people like this boy. People who are angry and filled with disrespect and lack of any kind of senses or feelings to understand someone who is not just like themselves, and who somehow, for some unknown reason, feel righteous. We also have a lot of people who are somewhere on the autism scale and don’t understand, but they still feel. It’s scary to consider this behavior becoming the norm. I’ve been the kid in the wrong’s mom (not bullying, but an adult informed me of what they considered my child to have done wrong). I knew that what was said was out of character for the child (again, totally different situation. A bully rarely BEGINS at that age). But here’s the thing. Despite knowing that I didn’t actually believe this to be my child’s problem, I did three very important (I think) things. 1. I acknowledged the woman’s complaint. Assured her that I would discuss it with my child. I knew how that conversation would likely go, but I did it anyway. Because I can be wrong. And even if I’m not, I can respect her right to think my child was in the wrong. 2. I spoke to my kid. Asked about it. The kid was flabbergasted that she would think he’d done what she said (she thought he didn’t do what he VOLUNTEERED to do–that he just left them to do it alone). But when I spoke to him, I made sure he knew I was in his court–even if he HAD blown it. My kids always know I’ve got their back (and their backside if they blow it. So to speak). 3. I had him apologize for upsetting her. Not for doing something he didn’t do, not for existing (which was the vibe I got from that mom, btw). No, because he can apologize for upsetting someone. Even if it wasn’t intentional or if he had no idea he could upset her that way, it never hurts to apologize for hurting someone’s feelings, causing frustration, etc. Even if you’re not in the wrong. My kid trusts me. He knows if he tells me that something went down wrong and he blew it, I’m not going to blow up at him. I’m going to deal with it, but I’m not going to make it worse than it was. And if he says he didn’t do it. I’m going to believe him. Because he’s given me every reason TO believe him. And I can’t remember why I was rambling about it. But I’ll lay it out there. In case someone gets it. We have that kind of relationship with our kids. I have no reason not to trust them. 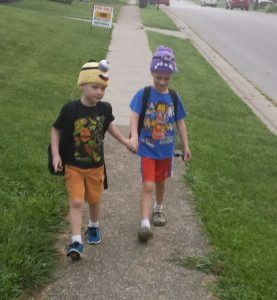 Our son has autism too and is in the first grade. He’s experienced mild (we hope that’s all) bullying, but he has a severe speech delay, so he can’t tell us for himself. There were 2 incidents that we witnessed. Most of his classmates are sweet and encouraging, but there will always be bullies to worry about, and it seems they get worse with age. We’re considering home schooling within a year or two. 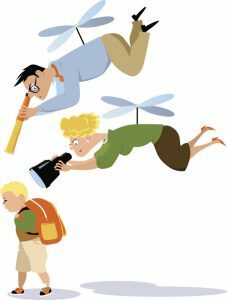 There is a good network of resources and home school groups where we live, so he can still be social and go on field trips, and we can still be helicopter parents. lol. I can’t bring myself to apologize for that. I hope your boys are doing better, and I hope the mother of that bully was just too stunned to show a proper response of concern. Hopefully she found time to have a talk with her son. Personally, if he were my child, he would be apologizing to both you and your children for his behavior. I’m hoping she was stunned, too. I’m sorry your son has experienced bullying of any kind – mild or not. I am going to talk to my kids about this. He has had to threaten a kid in his class, they are 9th graders, for making fun of a boy with autism. He texted me that he may be sent to the principal but he was going to stop it. I want them to be aware and look out for the shutting down. To absolutely step in, but to step in immediately because shutting down at school has to be even worse. You and Jeb on the other hand amazing. I am so sorry this happened to all of you. Kaylee had to defend an autistic COLLEGE kid in her communications class last year. People are just fascinating. Ugh.